Free practice was on Friday from 16.00 to 22.00. The track had been changed a little from last year and was very nice to drive on. 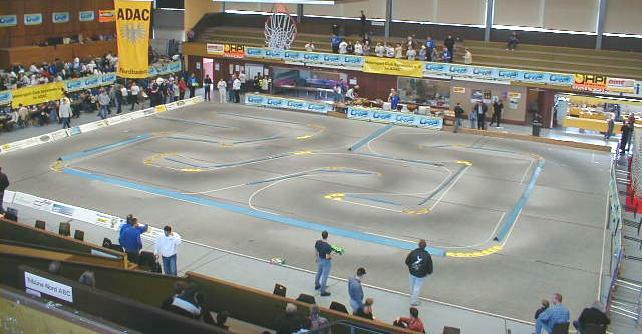 Definitely the best carpet track I have ever raced on. The only "problem" in free practice was that the grip was very low in the beginning. Once enough cars had run on the track the grip started coming up though. However, if you went of the racing line (which was very narrow) you lost all grip for a lap. So to get a good run you needed to stay on the racing line for 5 minutes. 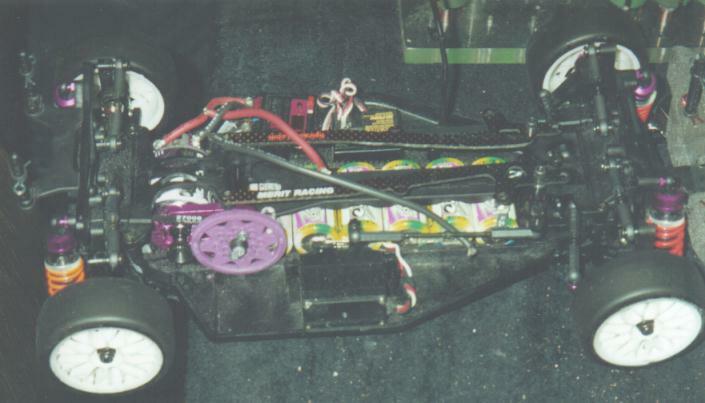 The control tires in this race was the HPI 4435 B15-40 tires like it has been every year. 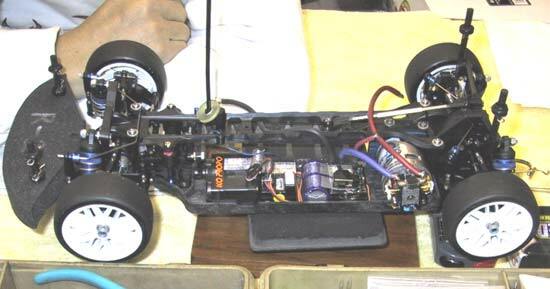 This is not a tire that is commonly used by racers and they are not really high grip tires like the Pit Shimizu and Yokomo tires that most people around the world run on carpet. The wear was very good, but new tires gave quite a clear advantage so if you wanted to be at the top it was new tires for every round. Personally I think that a limit of maximum 2 sets per driver would be a very sensible move. 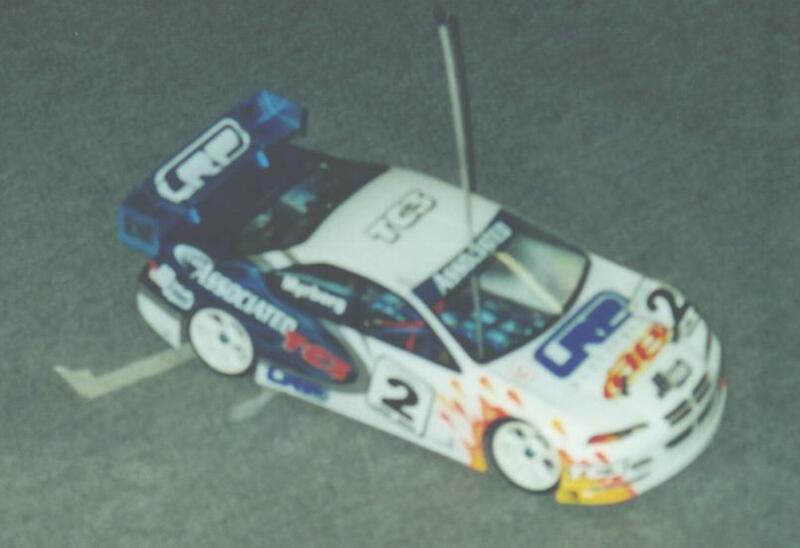 There was also a control tire traction compound that everybody had to use, the LRP Top Traction. 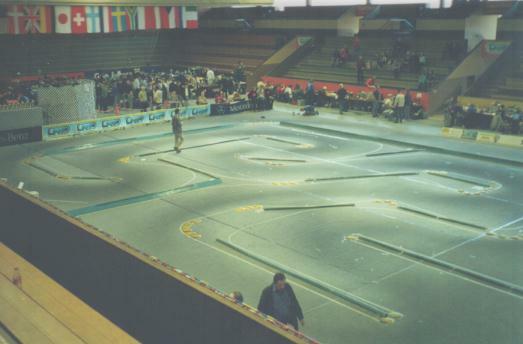 Another rule was that you could use no motors with fewer than 12 turns. This was a new rule for this year and I think it worked very well, even though a limit of 10 turns would maybe be better. So everybody got about 4 packs of practice on Friday. In my first run I tried to take it easy and learn the track. 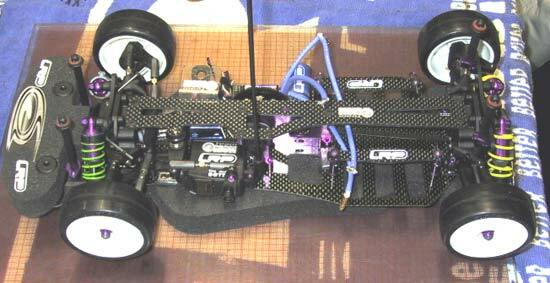 I started with basically the same setup that I had run in the last race in Finland. 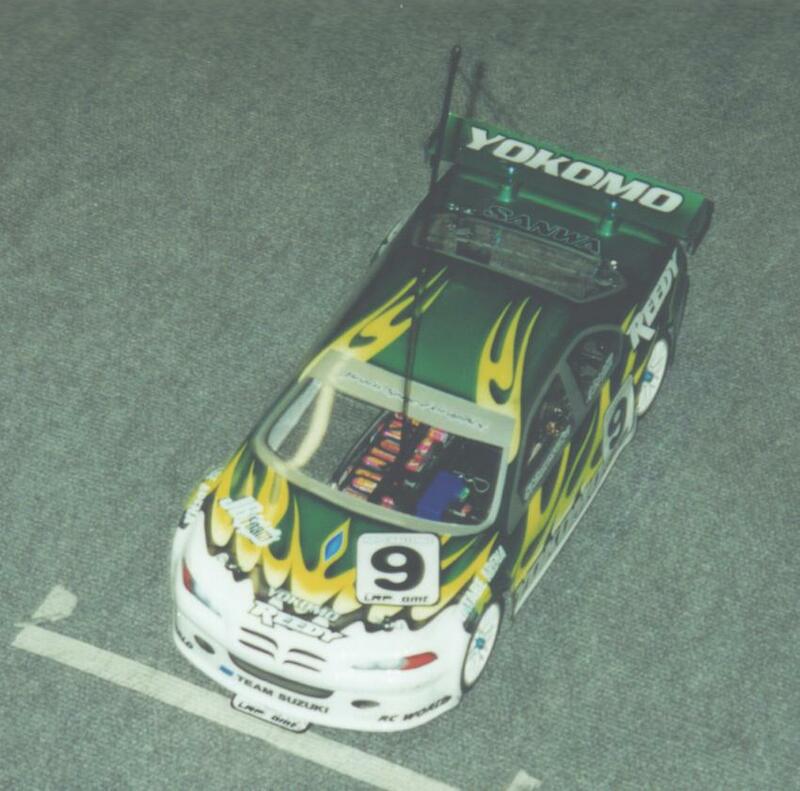 In the beginning it was very hard to drive the car with double one-ways on the very dusty track. My first run ended in the "wall" after the straight after maybe 5 minutes. The result was a broken front wishbone and shock cup. Well, at least I did not crash on the third lap like some other drivers ;-) ! So for the rest of the free practice I tried to stay calm and stay off that wall (that would eat many wishbones throughout the weekend!) 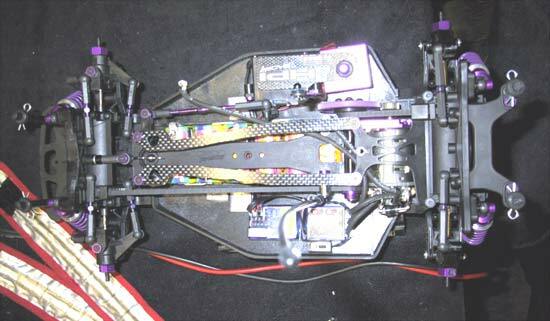 I made some small changes to my car during practice that improved my car, just small changes to the shock length and tried different bodies. It was hard to say who was fast during practice as it was hard for everyone to get a clean run when there were 14 other cars on the track at the same time. In the end of free practice Masami showed that his car was working well as he had a really good run. So at least Masami was looking good. 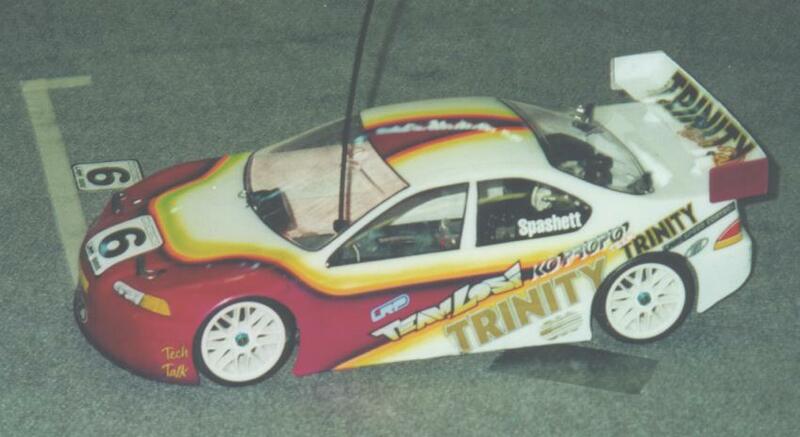 Also Teemu Leino with his Schumacher and Andreas Myrberg with his TC3 were looking strong. 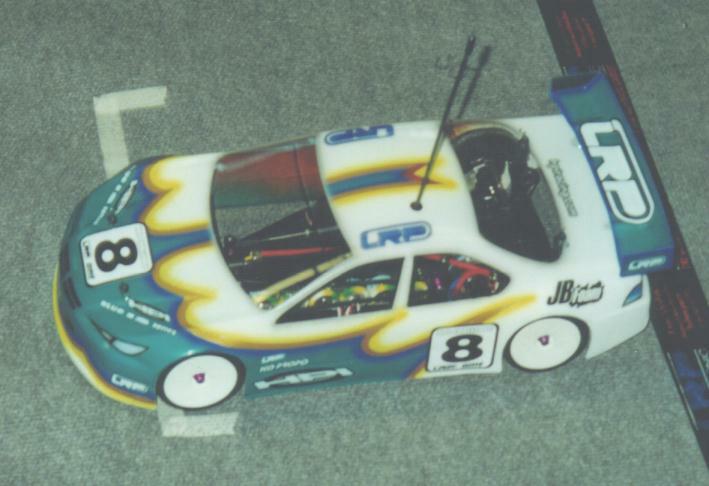 On Saturday the LRP-HPI Challenge drivers had also arrived so now there were even more cars on the track, which made the grip even better. The program for this day was; 1 round of controlled practice in heats of 15 drivers and 3 rounds of qualifying in heats of 10. 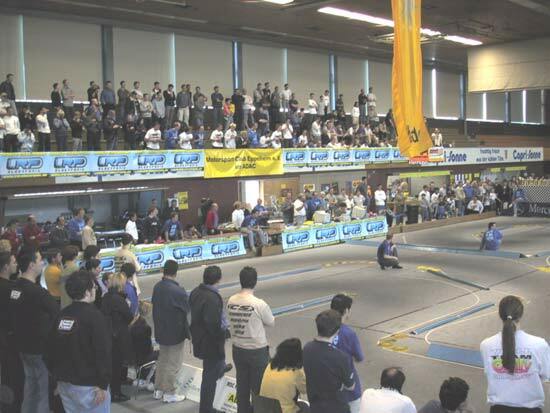 With 270 drivers (150 in the Masters) at this race the breaks between your heats were very long, almost 4 hours. 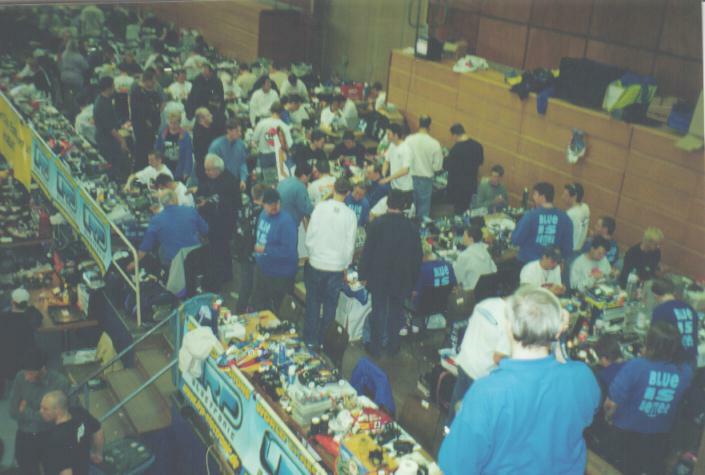 I had a got pit space from where I could sit and watch the racing so when I was not wrenching or doing something else I could always watch the racing action on the track. First qualifying was already quite late on Saturday but I was reasonably happy afterwards cause I got quite a good run together without any big mistakes. I think I was 40-something and that was after all quite ok in my first heat in my first real international race. 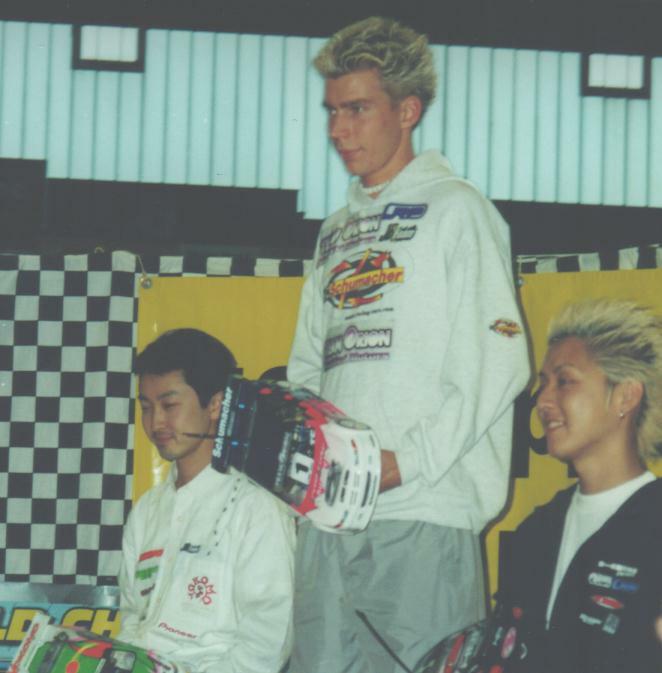 Masami was first with Andreas in second and Barry in third. Teemu was going to have a good run but had a couple of problems with traffic which slowed him down. The second run was even better for me as I had improved my car a little and the grip had come up. I had quite a clean run, still some small mistakes but I manage to jump up to 38th in the standings. This would prove to be the high point for me in this race... 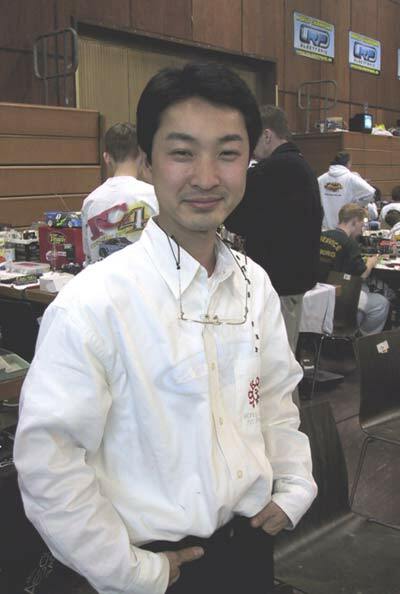 In this round Teemu also got a really good run together which took him to the top with a 3 second lead over Masami and Atsushi. 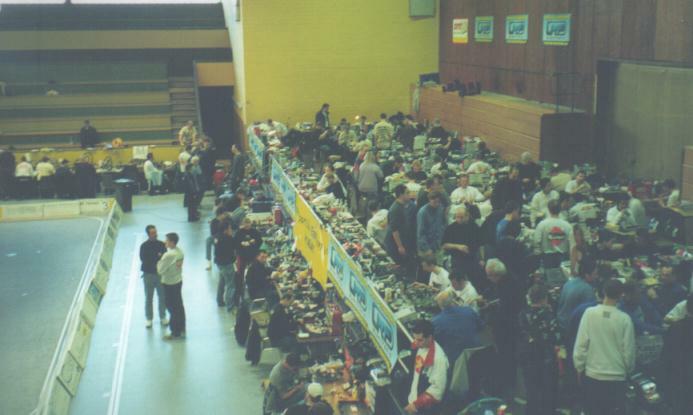 The third qualifying round was the last round on Saturday and the last race finished after 23.00 and I think everybody was quite finished after this. Most of the top drivers managed to improve in this round and Teemu broke the 22 lap barrier with a 22/5.13.3. After him there were 24 drivers on 21 laps with many on exactly the same time. Masami also improved his result to stay second and Andreas jumped up to third again. 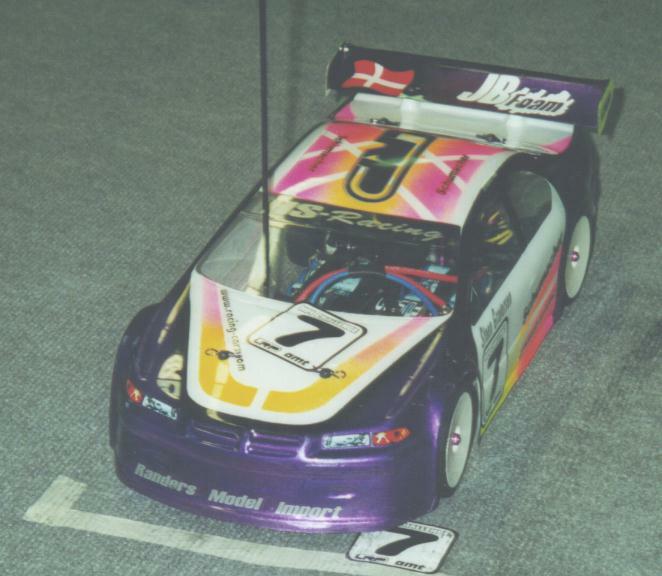 David was now fourth with Atsushi in fifth with the HPI. My own run did not go the way I would have liked, I was hoping to continue the form from the previous rounds but I did not. One reason was probably that it was quite late and after a long day of racing you get tired. 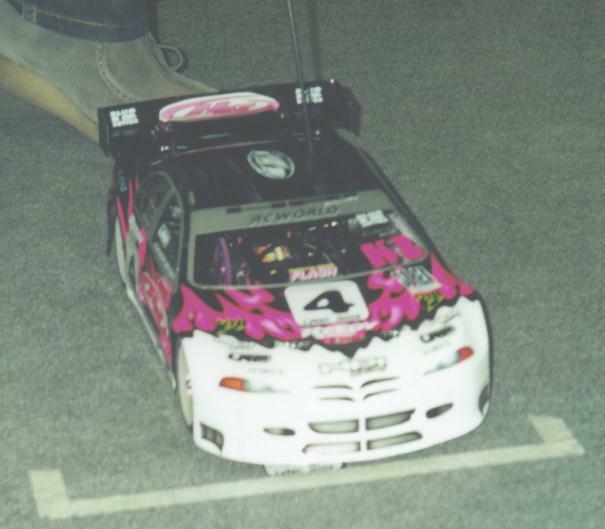 My car was fast though, I did my best laptime in the whole event in this round, 14.6. Before the last A I run my G main which was nothing special. I got the fastest lap in the main with a 14.7 but the car was now oversteering too much so I made many small mistakes and finished 4th. 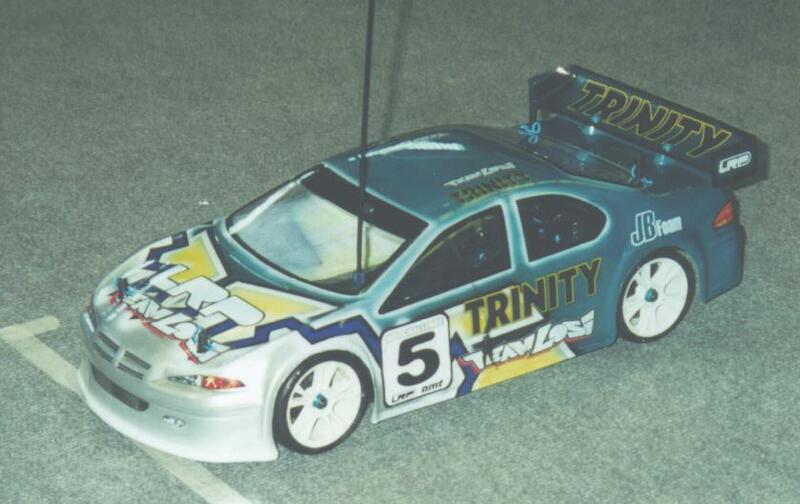 Also before the last A there was the B main with many good drivers, among them a certain Mr. Barry Baker. Barry made sure the B was worth watching...he had not been very happy after qualifying but now he was having a good time. The action started already before the start of the race with Barry telling the commentator to shut up! This made everybody laugh and there was a real big crowd for this main as well and it was worth watching. Sascha Falter disappeared in front while Barry had a good battle with Andy Krämer...all fun. 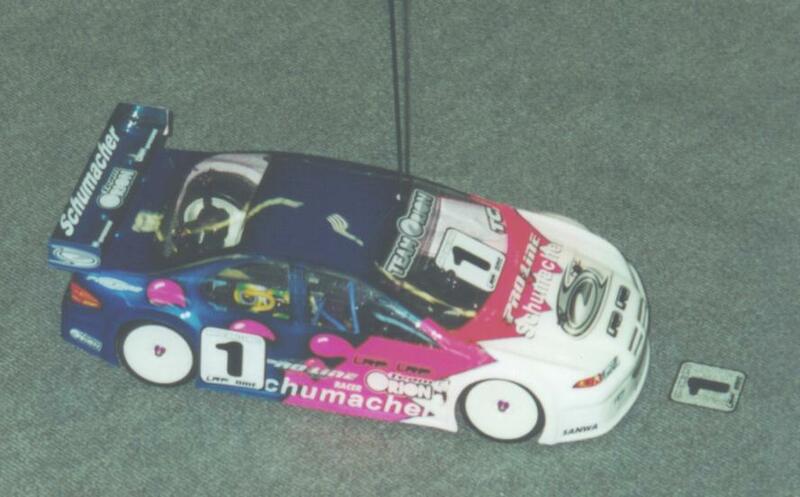 Then Barry decided he wanted the fastest lap of the race and decided to cut a corner twice. The result was a stop and go, which he decided to take in the middle of the track, both times just stopping and then continuing racing. At least he got the fastest lap, think it was a 9.8! - the space in the pit area was very limited! 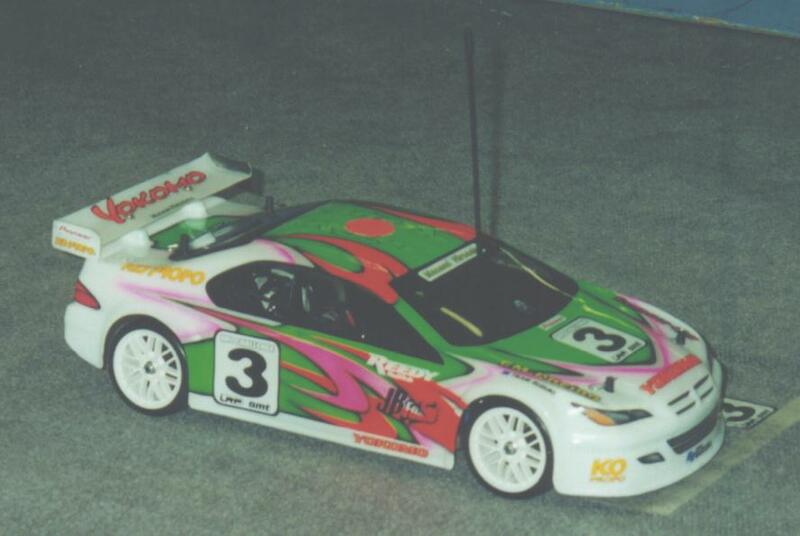 - the HPI Pro3 is VERY flexy! 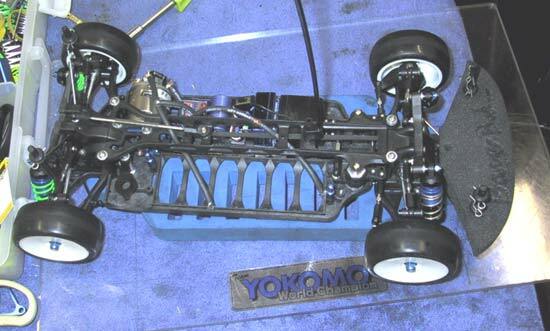 - the new Yokomo chassis is very narrow, looks great! - somebody wants to pay my trip so I can go to the Reedy race in England? 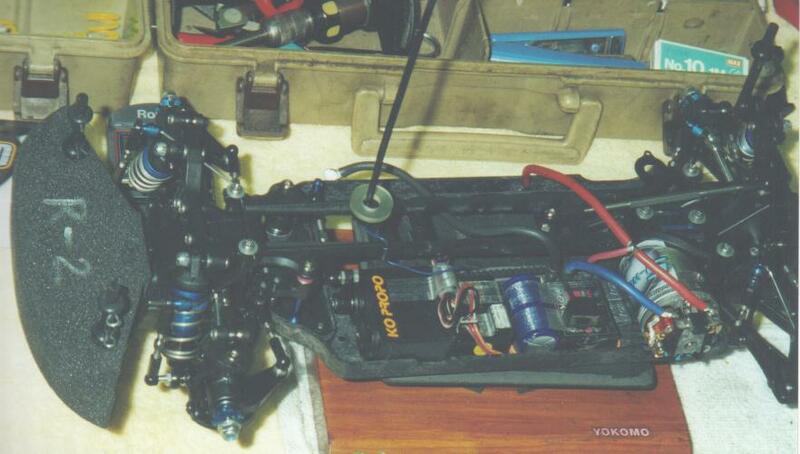 - Yokomo, why don't you hire me so I can go to all the big races?!?!? Click here for Masami's setup.